In the aftermath of the attack on a synagogue in West Jerusalem, William Crawley examines the latest wave of violence in the region. In the aftermath of the attack on a synagogue in West Jerusalem, some politicians have warned against the Israeli-Palestinian conflict developing into a 'religious war'. 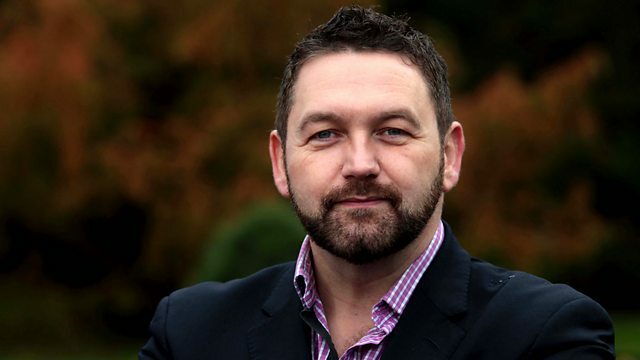 This week's presenter William Crawley examines the latest wave of violence in the region. We also hear from Cardinal Vincent Nichols who has spent the last week on pilgrimage in the Holy Land. A Church of England school has been placed into special measures after failing to safeguard pupils from Islamic extremism. Trevor Barnes visits one school which claims to have dealt with a plot to 'radicalise' the curriculum. The chairman of the Trussell Trust tells Sunday that delays in benefit processing and low wages are resulting in record numbers of people using their foodbanks. This week saw a deadly stand-off in India between police and supporters of the controversial Hindu guru Rampal, who was arrested in connection with a murder case. We explore the status of gurus and why many command such huge followings. What can multinational companies learn from the Jesuits about how to do business? Quite a lot, according to an assistant professor at Warwick Business School. We find out why. We explore the religious themes and resurgence of interest in the song-writing of Jake Thackray, who rose to fame on TV shows including 'The Frost Report' and 'That's Life!'. And we hear the story of a couple with more than a hundred years of volunteering between them, who are being recognised with a special award from their Bishop on Sunday.